Do your visitors see what you want them to see? Do they click where you want them to click? It is not the most important thing to have website, with vision you love and the web design to be made exactly as you like it. 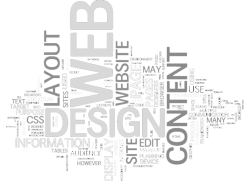 The web design of your website is made more for its visitors than for you. Do you know that there are tends binding design objective with the visible part of the screen, depending on device, which is used for browsing ? Never forget that web design is not only presentational, but also functional. It is a feature which purpose is to introduce you in the best way to your online visitors, to make them feel comfortable and come back again in your website. We can do web design for you! We will do custom web design especially created for your specific requirements or we will choose Premium template for your website and customize it for you ! We use last technologies for better performance. Depends on what you need we will recommend you the solution which fits perfect for your website.